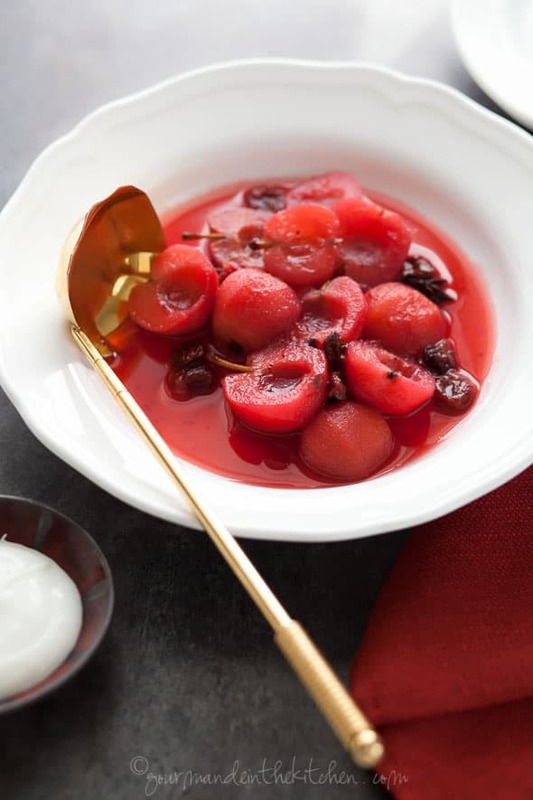 Tiny poached apples served in sweetly spiced syrup infused with warming spices like cinnamon, vanilla, star anise and the tartness of fresh cranberries. 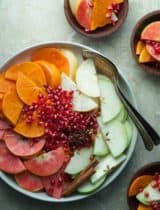 These poached apples are just the thing for a simple family supper or a holiday get-together when you’re short on time. Cooked fruit are one of the simplest of sweets but also the most comforting. 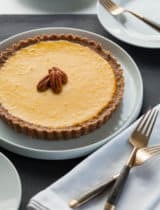 Sweet, spicy and just a little bit tart, it’s also the kind of recipe that’s just at home for breakfast as it is for dessert, and the best part is you can make them ahead of time since they only get better as they sit. An overnight rest in the fridge gives the flavors a chance to mingle and infuse the apples even further. You just combine your spices, with fresh cranberries and water and set it on the stove to heat. While you’re waiting for everything to warm up is the perfect time to prepare the apples for their bath. 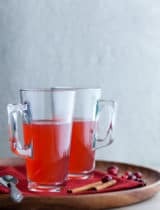 The tartness of the cranberries helps to balance the sweetness of the apples and creates a pretty pink syrup. The aroma that fills the kitchen as they poach is a nice little bonus as well. 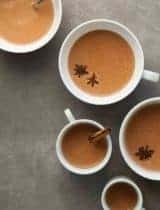 There’s nothing quite as comforting as the sweet smell of spices wafting through the air during the winter months and the cozy scent begins to envelop you as soon after you set everything to a simmer. 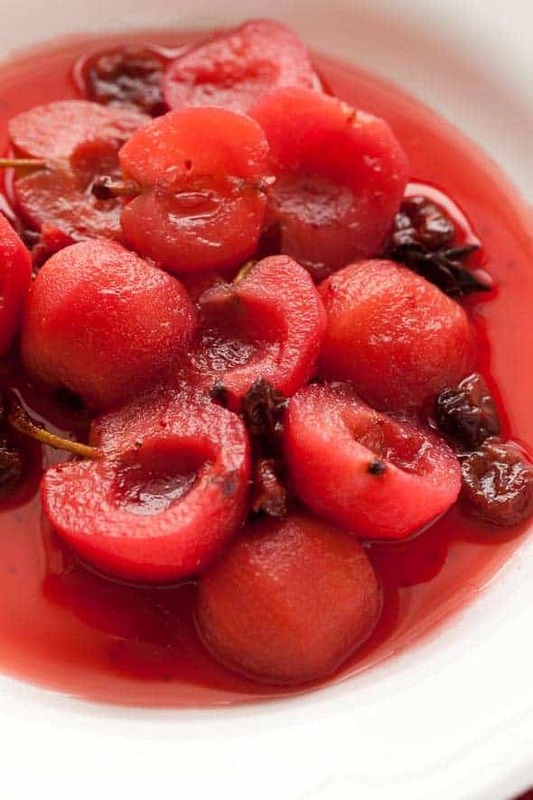 The resulting poached apples are silky and gently spiced, while the cranberry syrup is spicy and lightly sweet. The apples take on a rosy hue and translucent quality as they sit in the fridge with the dried cherries that plump and become soft and juicy. 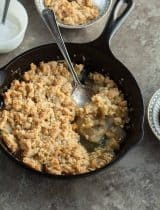 I like to serve the apples and plumped dried cherries covered in their syrup (add a little cream on the side to dress them up if you’d like) or on top of yogurt if I’m having them for breakfast. What are your favorite wintertime spices? Bring water, cinnamon, vanilla bean and seeds, star anise, sweetener of choice and cranberries to a boil. Reduce heat and simmer for 15 to 20 minutes (you want the cranberries to pop) while you prep the apples. Add apples, place a piece of parchment on top to submerge the apples; cover and simmer until just tender (about 5 minutes). Remove poached apples with a strainer and set aside. 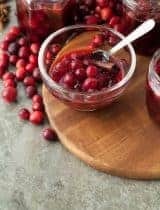 Bring the cranberry spice liquid back to a low boil and reduce in volume for about 5 minutes (the syrup will continue to thicken as it cools). Remove from heat and pour through a fine mesh strainer over the apples pressing on the solids to remove all the liquid. Discard the spices and cooked cranberries. Add the dried cherries to the cranberry, apple mixture and cool, cover and refrigerate overnight. To serve, spoon the apples and fruit into bowls and drizzle the syrup around them. 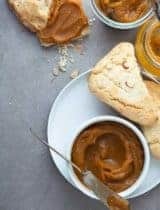 I love how healthy this recipe is! I've been putting maple syrup on errrrythang! 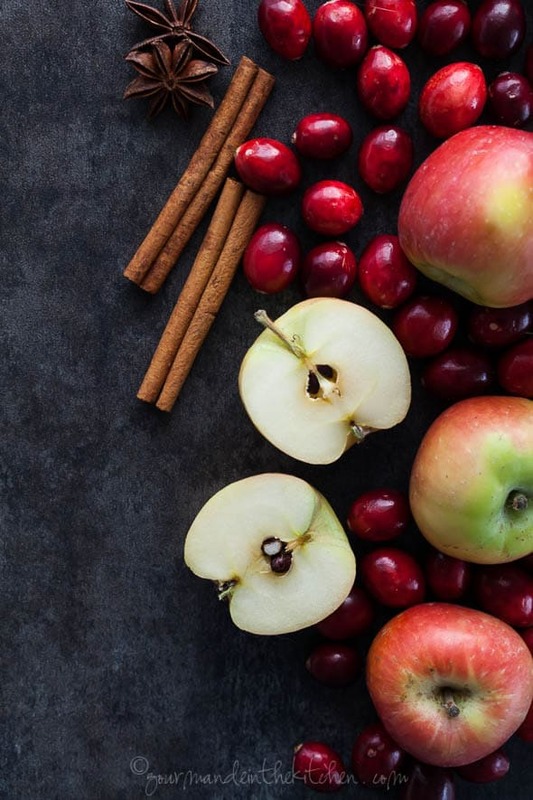 Apples and cranberries go so well together. Looks delish! So beautiful. That color is just stunning and I love those darling little apples! What a lovely looking dish - I adore the idea of serving it over yogurt -- and that gold spoon is stunning!! What an exquisite color, a beautiful dessert! I like this idea! 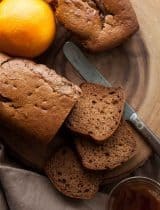 A great alternative to all the heavy styled desserts you see during the holiday season. Oh, how beautiful. This one will make an appearance on our holiday table for certain! Mille grazie! These look so darn pretty and I bet they are delicious! So gorgeous!!! I love the color, and the flavor has to be amazing. Anything with cinnamon is always a hit in our family. Everything you make always looks so amazing! I bet that smelled divine while it cooked up! I wish the smell could come through my screen! These poached apples are beautiful! I LOVE that you used star anise! Pinned! Wow this looks great! Dried cherries are so versatile this time of year! You described it so well Sylvie,I can almost smell it. The dish looks amazing. i can taste them just looking at them. Rich and sweet and filling. the perfect holiday dessert! My dad just said he wants to make poached pears and apples for dessert for Thanksgiving. I will have to show him this recipe! Gorgeous recipe and what a beautiful color! Sylvie, the whole process here is wonderful. I feel like I can smell the sweet apple aromas wafting up already! Great color, too -- very striking.